It is interesting to see how ice can take so many shapes that are suggestive of other things. This makes me think of wood, or wrinkled leather. Very nice abstract. Lovely capture of the patterns and textures on the icy surface. 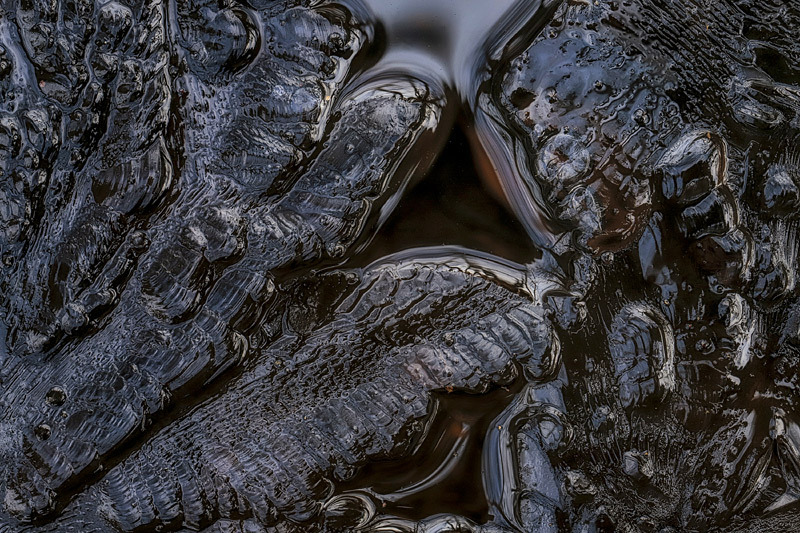 Almost reptile-like formations in this dark ice landscape, Marek. Almost looks like alligator skin. Nice shapes, sizes and colors.